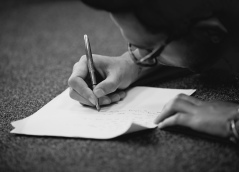 We initiate and deliver a range of projects for and with playwrights. 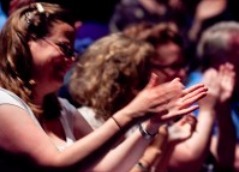 To do this, we regularly work in partnership with theatre companies, educational institutions, cultural agencies and funding bodies and trusts and foundations. We are also developing a fuller archive of our past projects to demonstrate the learning and outcomes which are possible through working with writers. If you would like to discuss working together on a project, simply contact Fiona Sturgeon Shea, Creative Director. Explore ongoing and past projects that Playwrights' Studio Scotland have led and managed. Information about the James Tait Black Prize for Drama, Royal National Theatre Playwright Award (2013) and the Meyer Whitworth Award (1991 - 2011). 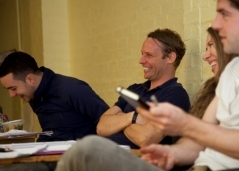 Playwrights' Studio Scotland works closely with a range of academic institutions. Details of International Projects we have project managed over a number of years to encourage the exchange of creative ideas, voices and forms between communities of international artists.